Marsh, James H.. "Punch Dickins". The Canadian Encyclopedia, 27 March 2019, Historica Canada. https://www.thecanadianencyclopedia.ca/en/article/clennell-haggerston-dickins. Accessed 25 April 2019. Clennell Haggerston “Punch” Dickins, OC, OBE, DFC, aviator, First World War flying ace (born 12 January 1899 in Portage la Prairie, MB; died 2 August 1995 in Toronto, ON). 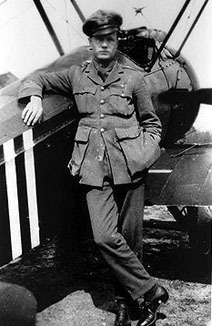 Punch Dickins was a First World War flying ace who received the Distinguished Flying Cross. 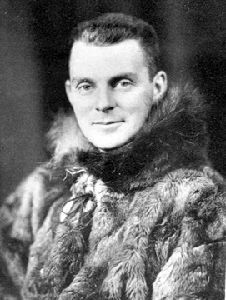 Dickins was a pioneering bush pilot who logged more than 1.6 million km flying over remote reaches of the Canadian North. Clennell Dickins, or Punch as he was known from an early age, was born in Portage la Prairie, Manitoba. When he was 10, his family moved west to Edmonton, Alberta, where he grew up and went to school. When he was 18 years old, Dickins enlisted as a private with the Canadian Infantry (196th Battalion) and was soon transferred to the Royal Flying Corps to become a pilot. In 1918, he was assigned to the 211th Squadron of the Royal Air Force, where he obtained the rank of second lieutenant. Dickins downed seven enemy aircraft during the war, making him one of only a few bomber pilots to be become a flying ace. In 1919, he was awarded the Distinguished Flying Cross for gallantry in the First World War. In 1927, Punch Dickins joined Western Canada Airways and dramatized the value of the bush plane, flying vast distances across northern Canada (see Bush Flying). During one of his historic flights in northern Canada, Dickins flew more than 6,000 km in 37 hours over a 12 day period. 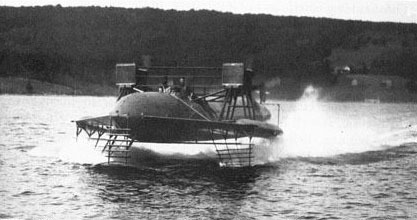 He piloted the first aircraft on the prairie airmail circuit and as part of his surveying and mapping expedition of 1928–29, Dickins flew the first prospectors into the Great Bear Lake area, where uranium	was later found. In October 1928, he made the first flight that established the Winnipeg-Regina-Calgary- Edmonton-Saskatoon-Winnipeg airmail route. On 1 July 1929, he became the first pilot to reach Aklavik	on a postal flight and subsequently was made manager for the Mackenzie region for Canadian Airways. As operations manager of Ferry Command during the Second World War, Punch Dickins managed six British Commonwealth Air Training Plan schools. He joined de Havilland Aircraft as director in 1947, and developed a successful worldwide sales organization, helping the company launch the iconic Beaver bush plane, as well as the Otter. He was awarded the McKee Trophy in 1928 for organizing aerial services in remote regions, and was named an officer of the Order of the British Empire in 1935 and Officer of the Order of Canada in 1968. Dickins continued to fly until he was 78 years old. He died at age 96 in Toronto. In 1995, Punch Dickins was recognized as a National Historic Person by the Canadian government. In 2019, Canada Post issued a postage stamp	depicting Punch Dickins.